In case of downloading the drivers from the Intel website you must make sure you have downloaded the appropriate driverpackage for your system!! 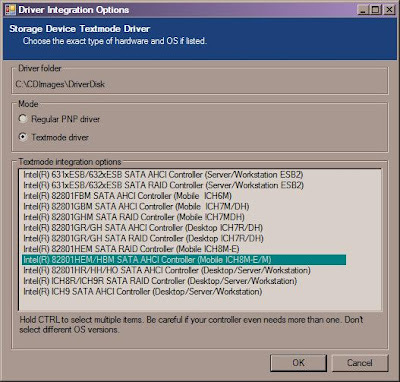 Attention: The filenames in this tutorial are for a system with an "ICH8M SATA AHCI controller" and must not match the drivers and chipset for your system. 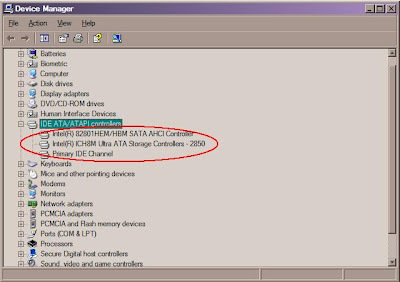 Please follow the wizard which appears after executing the command. 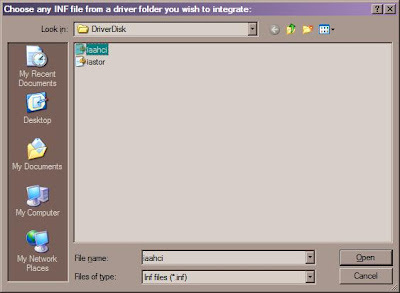 Copy these files to the newly created folder in "Step 3"
Copy the files from the chosen folder to the newly created folder in "Step 3"
For the integration of the drivers the folder "DriverDisk" is needed. 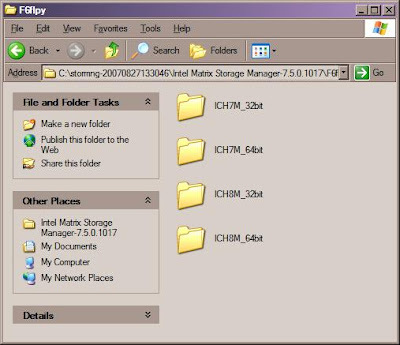 Create this folder and copy it in a folder of your choice (i.e. 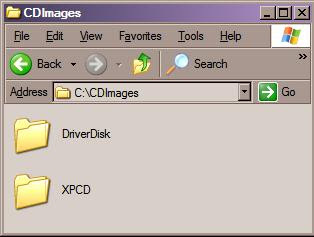 "C:\CDImages"). 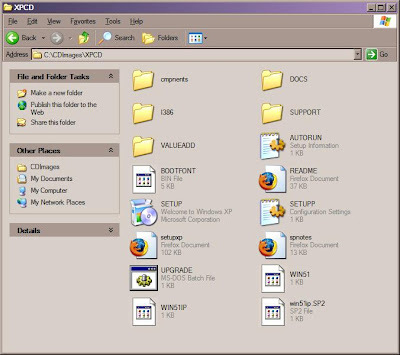 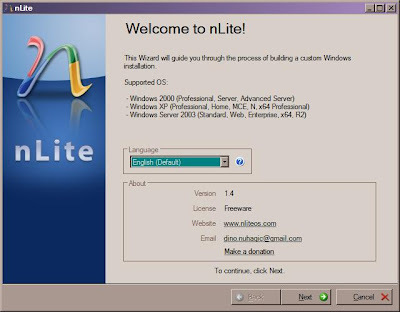 Copy all files from the Windows XP CD to the folder "C:\CDImages\XPCD"
In the next dialog, "nLite" asks for the folder which contains the Windows XP setup files. 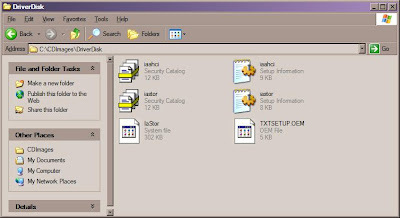 Search the folder by clicking on "Browse.." and choosing the folder "XPCD". 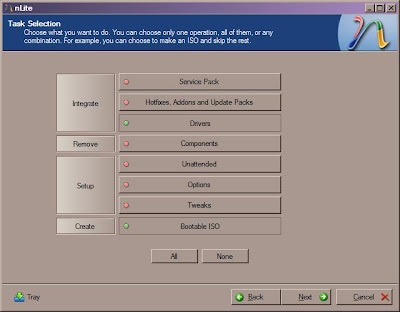 Choose the chipset which is installed in your system and click on "OK". If unsure which chipset is installed, go to "Step 1" of "2. 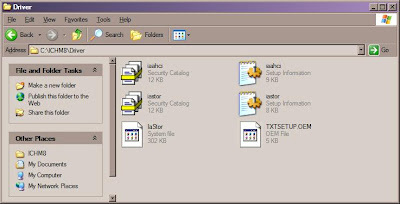 Downloading and unpacking driverfiles"
In this example the drivers from the Intel website were loaded which contain all available drivers. 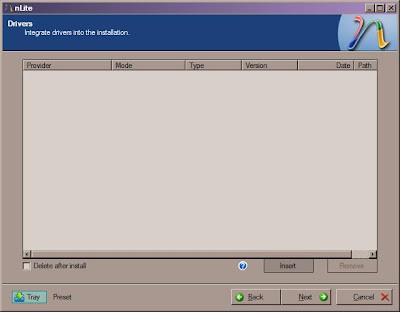 If you choose the driver from the Toshiba website only one driver will be available which must be chosen. 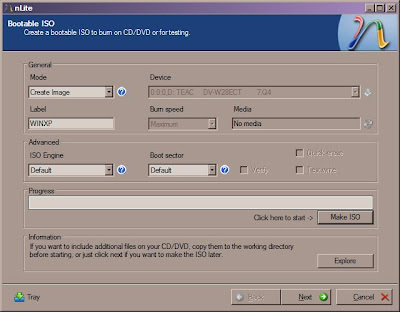 Now you can install WindXP on your machine without the need of an external USB floppy drive.